If you are wondering how to extract data from iPhone backup, you have come to the right place. 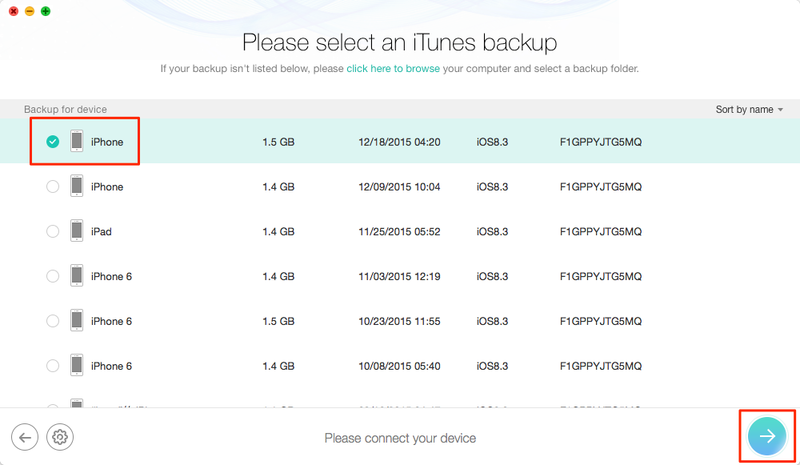 In this post, you can get an easy and quick solution to extract data from iPhone backup, no matter on Mac or PC. Download this iPhone backup extractor to extract data such as, messages, contacts, notes and more from iTunes backup by following this tutorial. The iPhone makes people's life more convenient and colorful. No matter it is a birthday party or a business meeting, people use the iPhone to shoot sweet photos, take important notes and do anything they want to do. The iPhone houses various kinds of data and Apple makes it possible to backup iPhone data via iTunes which is an advisable way to safeguard your iPhone data. However, if you get your iPhone lost or stolen, you are not allowed to extract data from with iTunes for it requires a device connection to PC. So, how can you extract data from iPhone backup without connecting your device to computer? PhoneRescue – iOS data recovery, a comprehensive iPhone backup extractor, makes it easy and quick to extract data from iTunes backup. - Focus on recovering up to 22 types of iOS data, such as, contacts, messages, videos, call history app documents etc. - Recover your important data via three safe ways - Recover from device, recover form iTunes backup, and recover from iCloud. 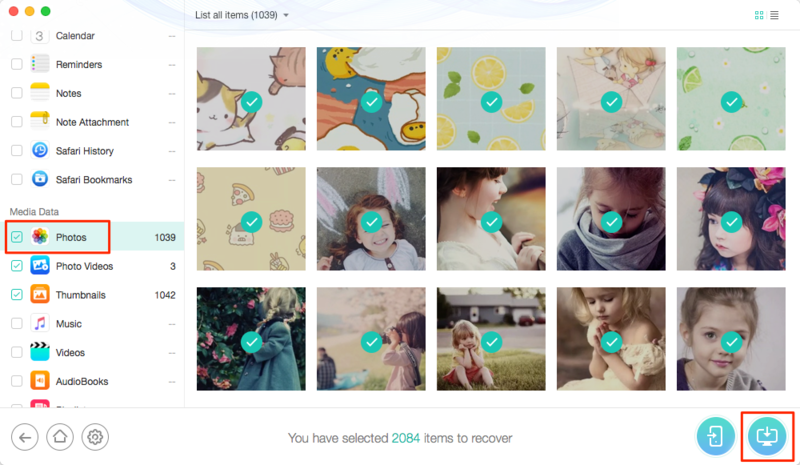 - Preview the data in thumbnail before restoring them so that you can selectively recover deleted files and data to save time. After downloading PhoneRescue - iOS data recovery and installing it to computer, you can easily extract your wanted data from iPhone backup on your Mac and PC by following the steps below. Step 1. 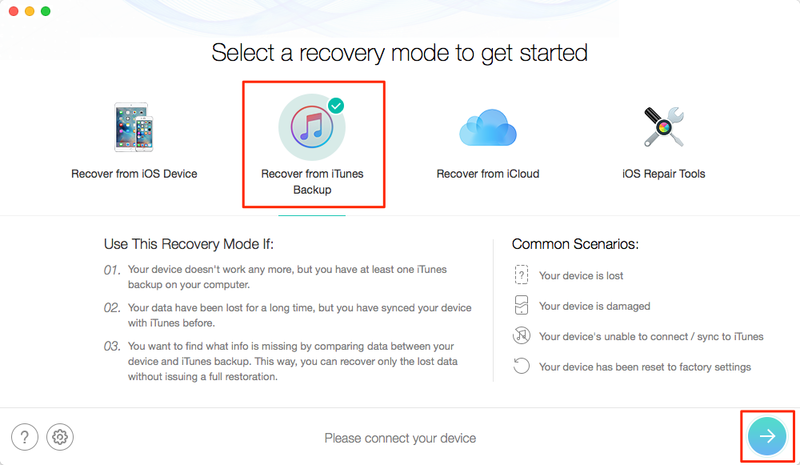 Open PhoneRescue – iOS data recovery > Select Recover from iTunes Backup > Click on Right Arrow to enter the next page. Step 2. Select the backup that contains the data you need > Click on Right Arrow to scan the backup. Step 3. Preview and select the data you need > Click on To Computer button. Have a try on this iPhone backup extractor PhoneRescue – iOS data recovery to extract your iPhone data from iTunes backup. Any questions about this article or PhoneRescue are welcomed. If this post is useful to you, don't forget to share it with your friends.